Curious about art but not sure how to really engage with it? Appreciate art and want to connect with it more deeply? I hear you. We're passionate about art, the stories it can tell, and the impact it can make – but we totally get how intimidating (or baffling) the world of art can be. 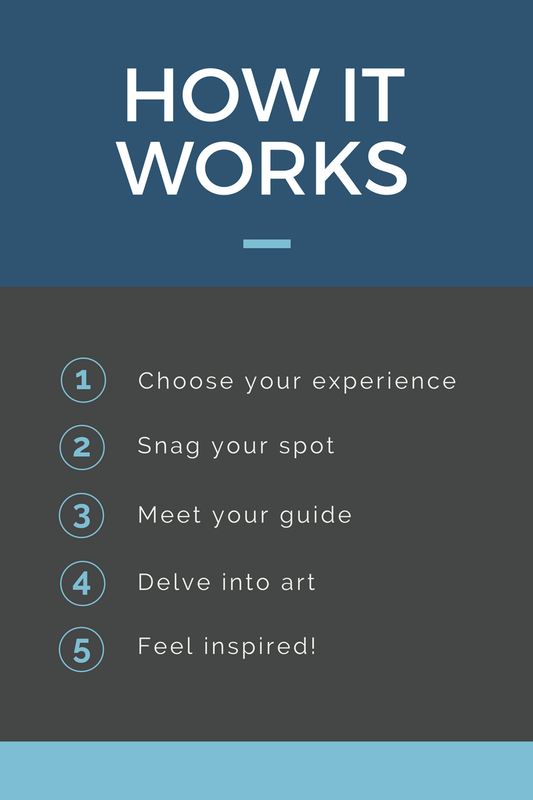 That's why we've reenergized the museum and gallery-going experience with tours that invite you to personally connect with art while whisking you through Santa Fe's charming neighborhoods, hidden courtyards, off-the-beaten path art venues, and landmark museums and galleries. In just a couple of hours, you'll come away with insight on the local art scene and new-found confidence in navigating the art world. As one of our guests put it, "Now, I actually feel 'art smart!'" 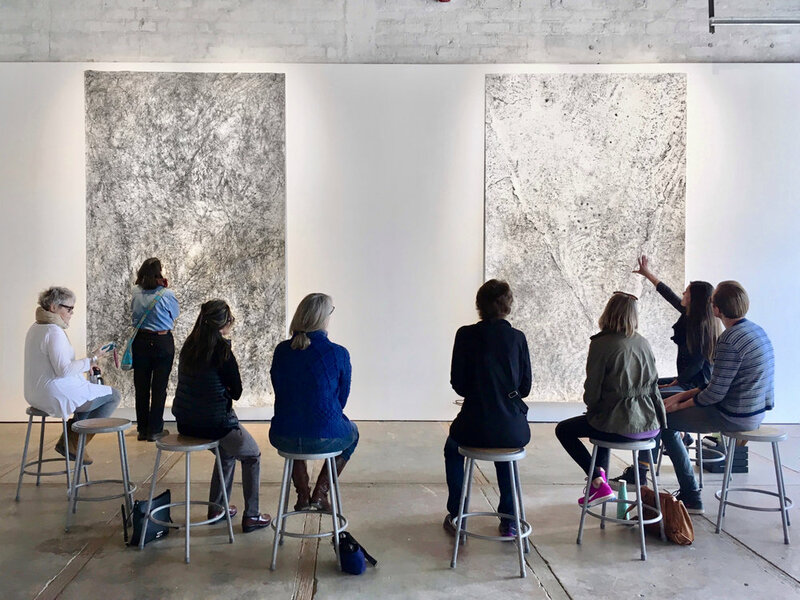 Our Curated Canyon Road, A Matter of Taste, and Farm to Canvas tours are all designed to help you personally connect with art. If there's a specific are or concept you'd like to focus on – or maybe you have a special request like transportation, a wine tasting, or a handicap accessible tour – you might consider creating a custom art tour. 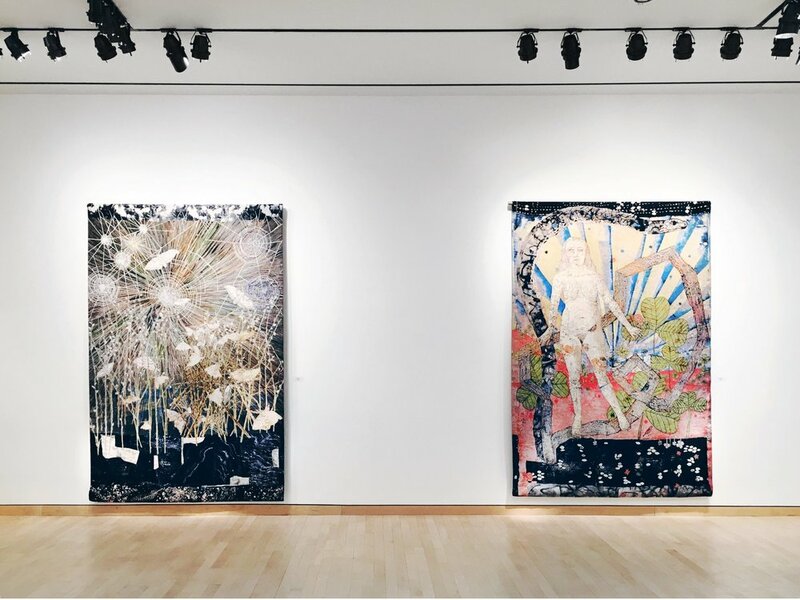 Finally, our art museum tours are a great choice for a more dynamic museum experience.